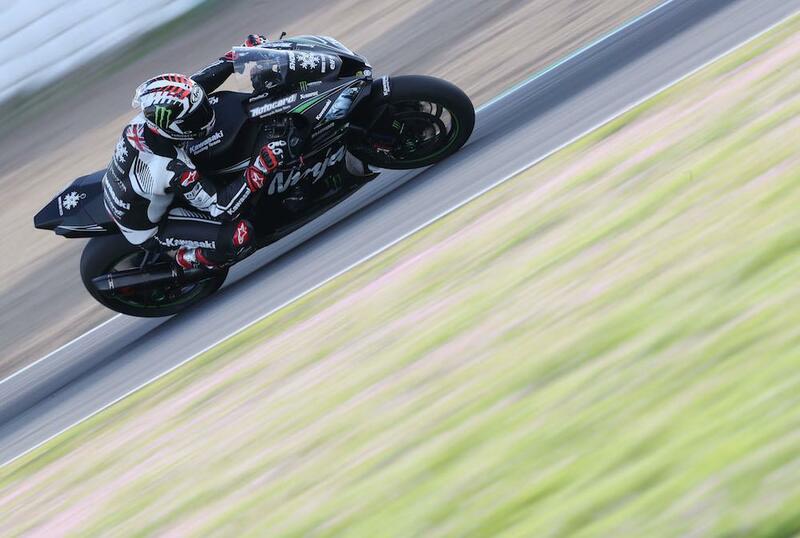 Jonathan Rea fired a stark warning shot to his rivals on the final day of World Superbike winter testing in Portimao by setting a marker almost a second quicker than the rest of the field. PATA Yamaha’s Alex Lowes had been close to Rea throughout the test, as well as last week’s test in Jerez, until Rea laid down a marker to place 0.6 seconds quicker than Lowes on Monday afternoon. Then, with 15 minutes left of the day’s track action the four-time World Champion stuck in a qualifying tyre and blitzed the field, lapping within a tenth of Eugene Laverty’s pole position record for the Portugese circuit. Rea’s last-minute annihilation would mean Lowes ended the test 0.959 seconds from his Kawasaki rival, nevertheless having shown a strong pace at both the Jerez and Portimao tests. Series newbie Alvaro Bautista was third quickest despite Ducati struggling with taming the rear end on the incredibly powerful Panigale V4R. The former MotoGP star was 1.079 seconds slower than Rea. The second Kawasaki of Leon Haslam was fourth quickest as he continues to adapt from his BSB-spec machine, he rounded out the test 1.2 seconds off his pace-setting team-mate. PATA Yamaha’s Michael van der Mark rounded out the test fifth, ahead of Tom Sykes, who showed well on the all-new BMW S 1000 RR. Sandro Cortese was seventh for the new GRT Yamaha team ahead of team-mate Marco Melandri with Puccetti Kawasaki’s Toprak Razgatlioglu and the second BMW of Markus Reiterberger rounding out the top ten. It was a tough test for Chaz Davies, who languished in 11th as he continues to struggle having aggravated an old back injury in a small crash during last week’s Jerez test. He ended the test 2.5 seconds off Rea’s quickest time. Teams will now pack up and travel to Australia for one final test before the first round of the 2019 season gets underway between 22-24 February.